Have your private function at one of the best Bermuda Restaurants! 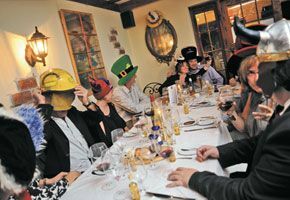 Mad Hatters is available for private functions at the request of the customer. Mark or Ben will sit down with you prior to your function and tailor the menu to your specific requests. The restaurant can support 72-80 people total (36-40 inside & 36-40 outside), and will provide a wonderful, whimsical atmosphere for your event!